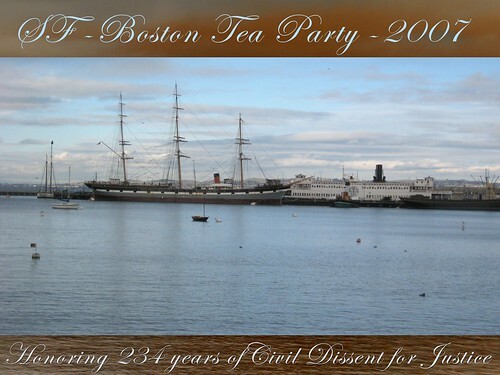 On December 16th, 2007, the Boston Tea Party was alive and well in San Francisco. We handed out much literature to the public and read aloud, our Proclamation, to a captive audience at the Hyde Street Cable car turnaround before marching down to the pier to toss the rejected facsimile of the Official Commission Report into the Bay. A good time was had by all. Saturday, October 27th...The San Francisco Anti-War Rally had a great turn out. 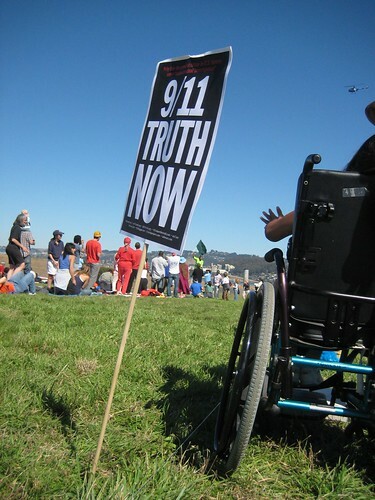 The Northern California Truth Alliance booth was very actively engaged with the crowd throughout the day in two locations while the famous 9/11 commission book rolled through the streets of San Francisco to Dolores Park. 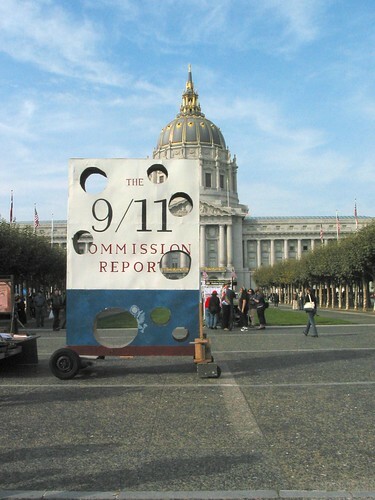 The 9/11 Commission Book (full of holes) sits in Civic Center, SF awaiting its journey across town. Oakland and Santa Cruz Truthers Gathering for the march. 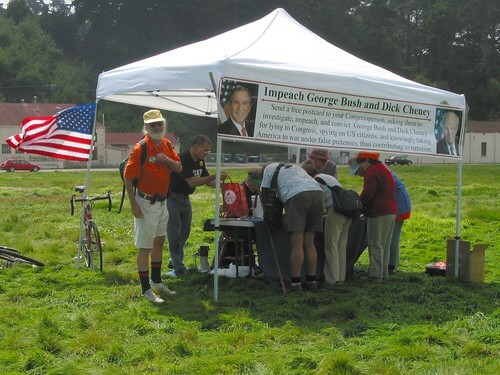 When I posted a few photos of the Impeach on the Beach Event last month, there was quite a bit of confusion as to Cynthia McKinney whether or not she is ACTUALLY running on the Green Party ticket for President of the U.S. I found this article today. 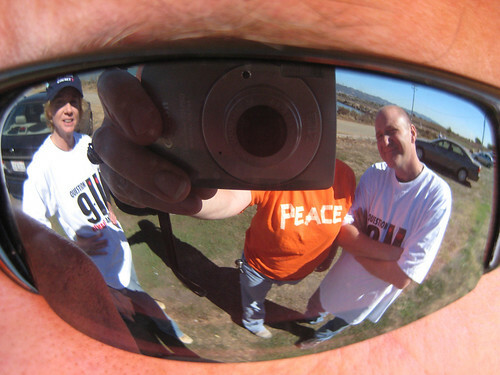 It was posted online on 10/16/2007. Hope this clears things up...a bit. Submitted by admin on Tue, 10/16/2007 - 23:04. Former Georgia congresswoman Cynthia McKinney seems to have ended any notions of running again for state office in Georgia and has registered to vote in California where she is still considering a run for president on the Green Party ticket. In recent weeks McKinney — who last month posted a letter on her Web site declaring that she had no interest in the Green Party nomination — has appeared at fund-raisers in California, where a group named Run! Cynthia! Run! is trying to draft her as the party's candidate in California. This was an especially gratifying event yesterday. Not only did we have an additional 5-6 new people arrive to hold signs...there was no negative energy, only kudos and curiosity from the people driving by. I think that the "11th Day" is starting to catch on in Santa Cruz. I personally am surprised that this very liberal town is only starting to wake up...I can't imagine what it must feel like in middle America. Keep up the good work everyone! I am starting to feel stoked. 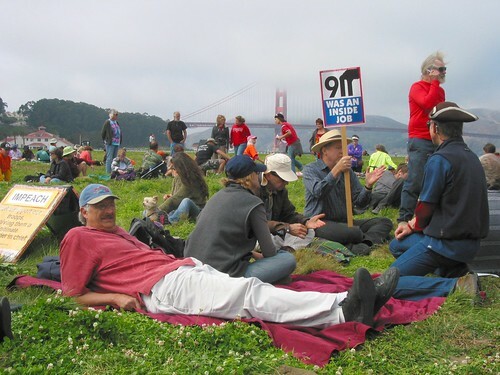 Sunday, October 7th Beach Impeach event in Berkeley California was great...Here are some photos: Doing our best to keep the message out there for 9/11 Truth! Cynthia McKinney (who is running for President for the Green Party in '08 is wearing the green shirt in the distance waving the green flag. 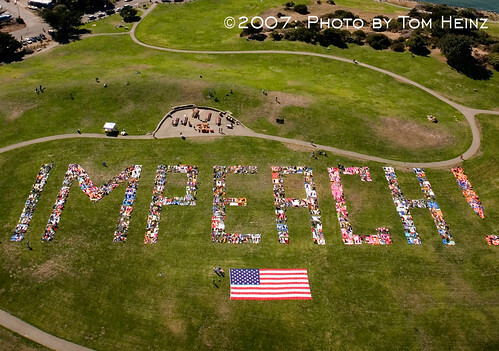 Yesterday's (9/15/07) San Francisco Impeach on the Beach event was a complete success! 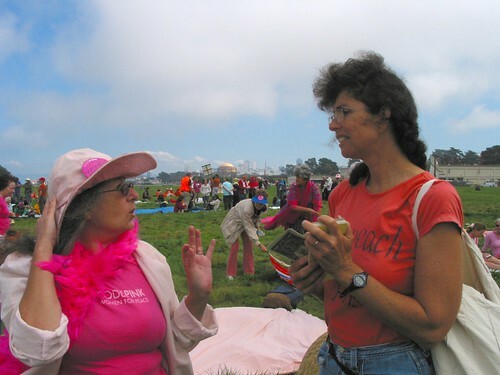 The World Can't Wait, Code Pink, and I am sure many other individuals and organizations all stepped up to the plate and made a show at Crissy field. 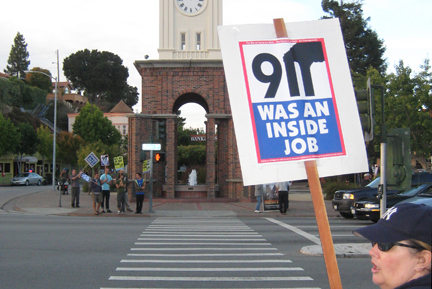 Some local 9/11 Truthers also joined in to send an "IMPEACH! REASON? TREASON!" message to Congress. 659 people went online and registered for the event. The 4th seat (The "Pelosi Seat") on the helicopter was auctioned off for $355 on EBAY. 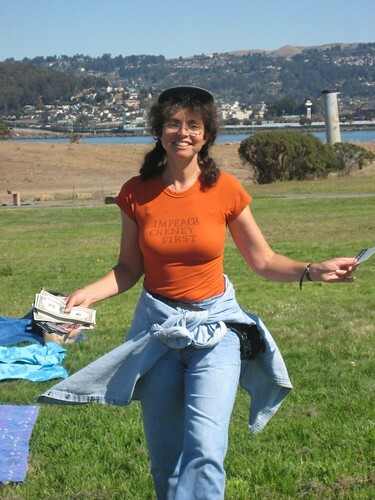 Santa Cruz, California, 11th DAY EVENT. 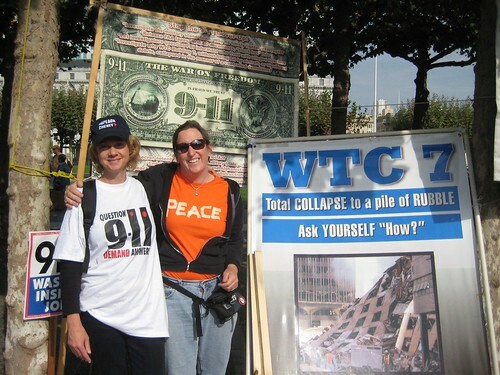 We're a small group but growing and meeting weekly and working toward 9/11 TRUTH. Last night, May 11th I went to the clock tower at 5pm with my sign and camera. 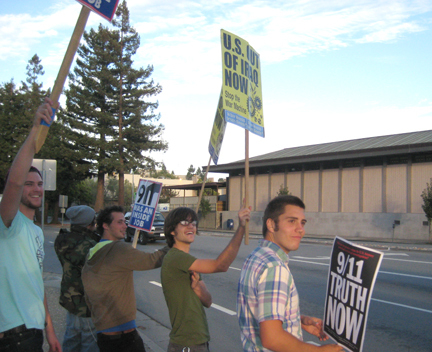 Generally on Fridays there are a group of people protesting the Iraq war and the return of our troops. This particular Friday, the group was smaller than usual, people driving by seemed supportive. I spoke with one man on a bicycle who conveyed the fear many people feel around the 9/11 issue. Discussion of politics, at work, is avoided simply because people need to keep their job. It would therefore, be understandable that many who support our cause don't want to stand on the street corner with a sign for the world to see. It's that simple. 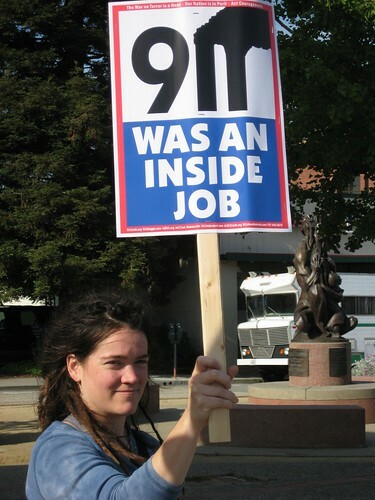 If a poll were taken at a rally, those who question the events surrounding 9/11, would most likely fall under the "Self Employed" or "Retired" demographic. This, in it self, would reduce the number of people who support the cause dramatically. I hope that any Santa Cruzians reading this can mark their calendars for the 11th day of every month and join us in front of the clock tower. There you can sign up with the group and hook into the weekly meetings. 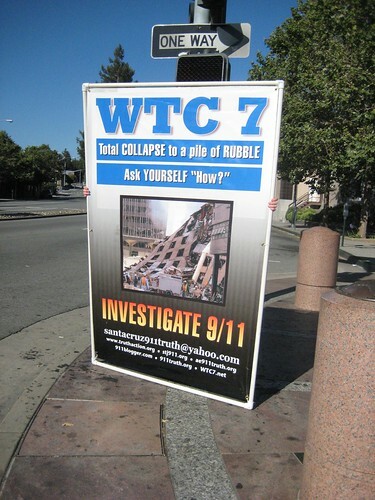 Northern California 9/11 Truth Activists Photos of the A28 "Impeach on the Beach NOW!" The weather was great. Many people came out for the event. "Should ABC fire Rosie, as O'Reilly implies?" "What do you think of this debate?" I think we all need to partake in this "poll" clearly, most of this side of the debate doesn't hang out at the AOL site. I would give you the direct link to the aol site but it seems to only take me back to the results...keeps me from trying to vote again. 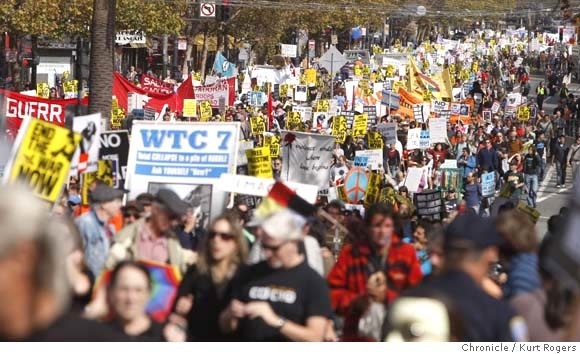 Yesterday, January 27, 2007, there was a good Showing of people at the San Francisco Anti-War Rally. Though it had little coverage in the mainstream Media...AGAIN, I personally felt proud that I took the time to make a show. Unfortunately, with so little coverage in the mainstream media, much of America won't even know that over a hundred thousand people went out into the streets in Washington DC and San Francisco. Other rallies in smaller cities across the country were barely mentioned if at all.